Dorothy Miner was legal counsel to the New York City Landmarks Preservation Commission from 1975 to 1994, where she was instrumental in various landmark-related legal battles. After stepping down as counsel to the Landmarks Preservation Commission, she worked as an attorney and an historic preservation consultant. Dorothy Miner passed away on October 21, 2008. She was 72 years old. Miner played a crucial role in the Penn Central vs. the City of New York Supreme Court Case over the landmark status of Grand Central Terminal. When Penn Central commissioned Marcel Breuer to construct a 55-story addition on top of Grand Central Terminal, preservationists launched an advocacy campaign against these plans. The case was eventually brought before the United States Supreme Court. Miner's legal guidance as counsel to the Landmarks Preservation Commission was integral to the success in upholding the New York City Landmarks Law.10 The Supreme Court ruled in favor of the City of New York. This victory established the constitutionality of landmarking historic buildings. The effects of this case reverberated nationwide, serving as a model for landmark designation in other major cities. In addition, Miner was involved in the legal battle to preserve Saint Bartholomew's Church. In the mid-1980s, Saint Bartholomew Church had plans to tear down its landmark-designated community house on 50th Street in order to build a 47-story office tower in its place.16 The church argued that the Landmarks Preservation Commission violated their "rights of religious exercise and use of its property. "17 Miner defended the designation of Saint Bartholomew's community house despite the Church's challenges to the New York City Landmarks Law.18 Thanks to Miner's legal guidance, the City won in the Federal Court of Appeals in 1990. Despite being asked to resign as counsel, Dorothy continued to devote herself to numerous not-for-profit organizations, offering her legal guidance and expertise. During the latter portion of her life, she spent her time teaching historic preservation law at Columbia University's Graduate School of Architecture, Planning and Preservation, Pace University School of Law, and the School of Architecture at the Rensselaer Polytechnic Institute. "In Defense of Preservation." The Gotham History Festival. CUNY Graduate Center. 6 October 2001. "Making the Best Better: 35th Anniversary Celebration of the 1973 Amendments to NYC's Landmarks Law Panel Discussion," 10 June 2008. Accessible by contacting the New York Preservation Archive Project. 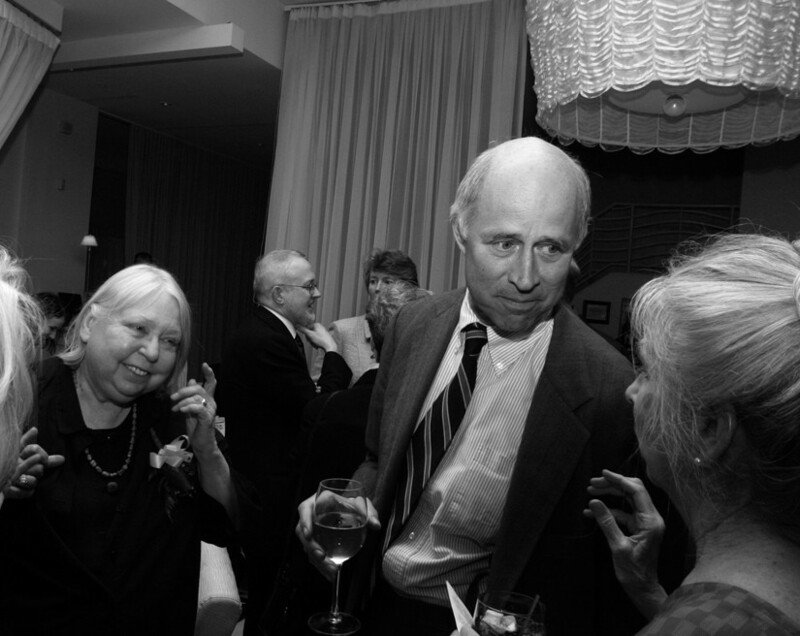 David W. Dunlap, “Dorothy Miner, 72, Legal Innovator Dies,” The New York Times, 23 October 2008. Staff, “Dorothy Miner, J.E. O’Driscoll Are Wed Here,” The New York Times, 26 July 1970. Introduction, Anthony C. Wood and Dorothy Miner interview with Robert Low, New York Preservation Archive Project, 16 July 2002. Staff, “POSTINGS: A ‘Fresh Eye’ Wanted; Counsel leaving Landmarks Panel,” The New York Times, 16 October 1994. Esther B. Fein, “MT. Neboh Owner Faces Foreclosure Threat,” The New York Times, 13 July 1984. David W. Dunlap, “Change on the Horizon for Landmarks,” The New York Times, 29 April 1990. Staff, “POSTINGS: A ‘Fresh Eye’ Wanted; Counsel leaving Landmarks Panel,” The New York Times October 16, 1994. Municipal Art Society, Remembering Dorothy Miner. 25 October 2008.